This intimate and engaging monthly series features presentations, talks and networking by visual artists of African descent working in all mediums. The salons are free and open to the public. Guests are encouraged to participate in Q&A. The "Southern Parlour" exhibition is on view through October 1st, 2016 in the Gallery at Ace New Orleans. 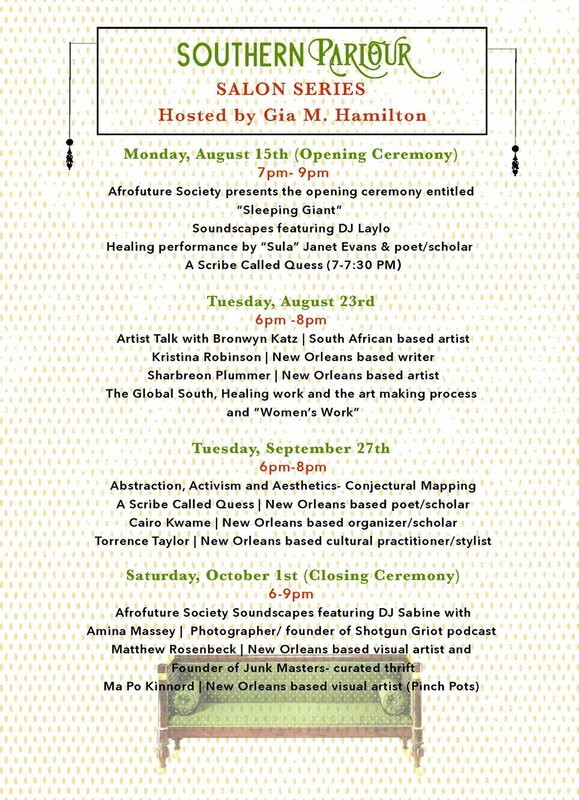 The Afrofuture Society hosts its monthly salon series engaging visual artists of African descent in art world conversation, hosted by AFS founder and principal curator Gia Hamilton.